Make sure you have the latest Arduino IDE. Click here to go to the Arduino downloads page. The Beta boardfiles are not fully tested! 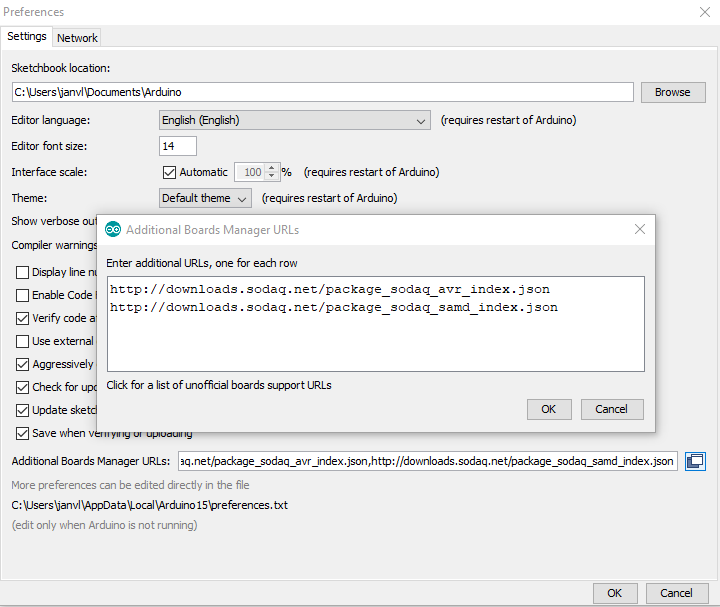 By using these boardfiles you can help us test the compatibility. Let us know on our forum if you have any issues. 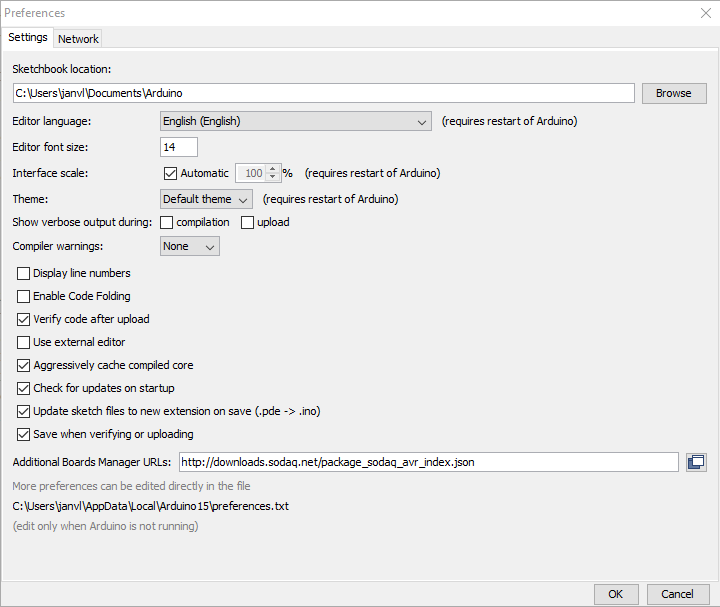 You can use multiple URLs at the same time. Click on a board collection, an install button will appear. Install the latest version of your selected board collection. Connect your board to your computer. Select the com port of your device. Don’t let the name behind the port confuse you. The names will not always be as you expect. 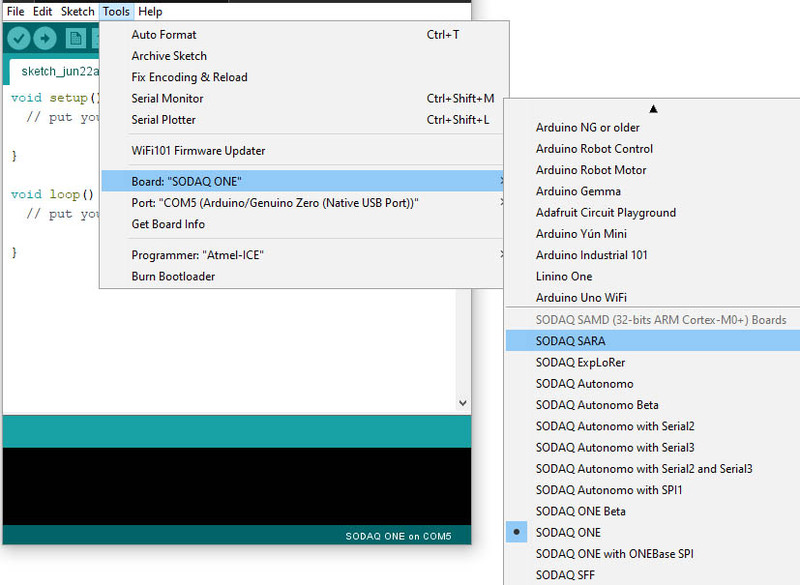 Example: SODAQ ONE and Arduino Zero have the same Cortex-M0 microcontroller. The name behind the port will most of the time show the first SAMD board in the list. e.g. 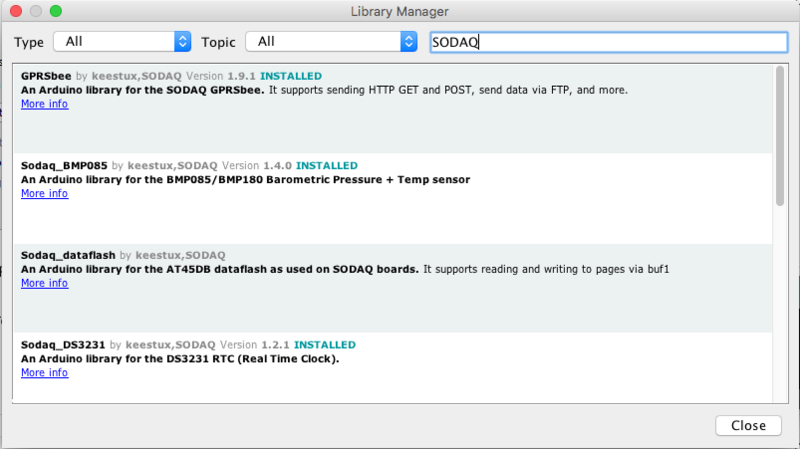 SODAQ SARA, Arduino Zero and not SODAQ ONE as you would expect. Always select the correct board under the board selection!! Selecting a board with same microcontroller will compile and upload, but it will NOT work and may brake your device!! In most libraries you can find some examples. For most applications we need to enable “Both NL & CR”. 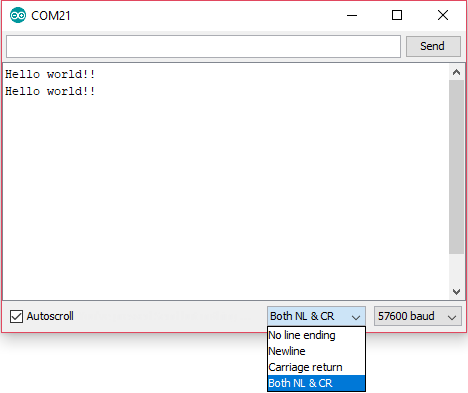 Or send the commands new line and carriage return manually.